Agency Spotter ranks more than 4,500 digital agencies based on credentials, focus areas, related expertise, verified client reviews and project work for this quarterly report featuring the top digital agencies. 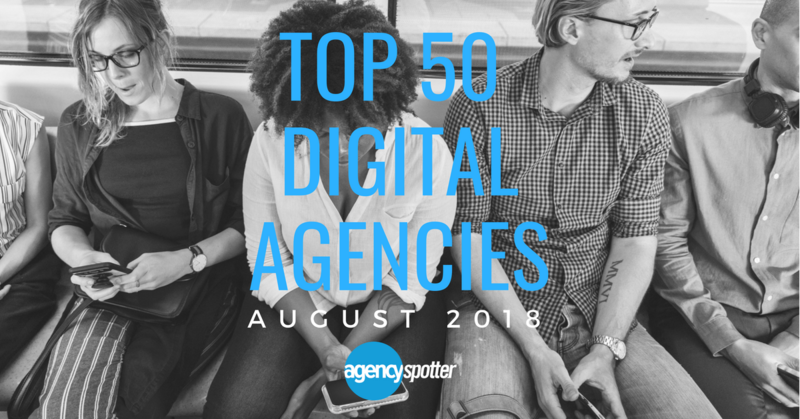 ATLANTA, August 28, 2018	(Newswire.com) - ​Agency Spotter's Top 50 Digital Agencies Report for August of 2018 evaluates more than 4,500 agencies who focus on digital competencies such as digital strategy, marketing automation, web design and development, mobile design and development, e-commerce, social media marketing, content marketing, email marketing, inbound marketing, CRM automation, search (SEO and PPC) and gaming. This issue features 100 percent independent agencies with 88 percent being United States digital agencies and 12 percent from outside the U.S. The digital agencies represent a diverse group with 16 percent of the agencies being women-owned and eight percent minority-owned. IQ Agency landed the number-one spot on the top digital agency report. Headquartered in Atlanta, Georgia, with a second location in Los Angeles, IQ has also recently placed on Agency Spotter's August Top 20 Advertising Agencies Report. One of the agency’s main objectives is to think strategically throughout the entire client collaboration process. They avoid thinking about strategy only toward the beginning of a project. "We're thrilled to be named No. 1 on the top 50 digital agencies report. Digital marketing has proven to be the best way to influence the customer experience, and this honor validates the approach we've taken and the excellent work of our team." The mid-size agency IQ has done work for companies of all sizes, including Microsoft, Wells Fargo, Yamaha Boats & Waverunners, Seabourn Cruise Line Limited, Georgia Pacific, Aliant Credit and IHG, among many others. Though IQ Agency’s clientele base operates in a wide range of industries, the agency cites its industry expertise in the financial services, consumer goods, healthcare, hospitality, IT and services, market research and retail spheres. For instance, Deborah Mersino, the chief marketing officer for the Oregon Community Credit Union, states that when the credit union needed a complete brand refresh, she found IQ’s start-to-finish philosophy resonated well with her company’s. Her review includes a strong endorsement: "I highly recommend IQ as a strong, collaborative partner that knows and understands digital and will help take your company to the next level." Response Marketing earned the number-two spot on this Top Digital Agency Report. The New Haven, Connecticut-based agency is results-driven. Rather than tout all of their service-area abilities (of which include digital strategy, web, branding and more), the Response Marketing team proves itself using the results their campaigns drive. Although Response claims itself to be a “small and mighty” agency, their client list shows they are not afraid to take on big projects. Tarra Del Chiaro, director of marketing at Accurate Lock and Hardware said, "[Response Marketing's] strength is in working with a variety of clients in different verticals. They aren't experts in marketing for any one specific business or industry, so their expertise lies in how people interact with brands." Response Marketing client roster includes Amazon Web Services, Citrix, McAfee, Guess Watches, Logitech, Office Depot, Scandinavian Tobacco Group, Stony Creek Beer and many more. Because the agency specializes in partnering with other agencies, they are able to leverage both local and global expertise. The agency is one of eight women-owned agencies on this Top 50 Report. Dirigo Design & Development Inc.
12 percent are located outside of the U.S. The digital marketing agencies were selected based on Agency Spotter's proprietary research methodology, which uses their websites' extensive data along with qualitative and quantitative insights to evaluate many factors including each company's qualifications, experience level, positioning and client feedback. Agency Spotter's top agency research reports are issued on a regular basis and are continuing to roll out across more than a dozen service areas. Interested companies are encouraged to claim their agency or apply to get listed and review the report methodology to be evaluated for future coverage. Attracting small, medium and global companies, Agency Spotter is the world's top independent choice for agency search, selection and agency management. A B2B marketplace and SaaS provider, Agency Spotter connects marketing decision makers with top digital marketing agencies and more, including advertising, innovation, content marketing and 40 marketing services. 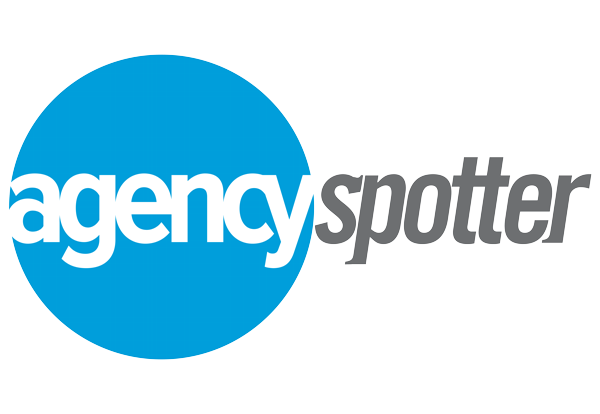 Agency Spotter's website maps the marketing services industry landscape, making it easy to use more information, like verified client reviews, to build a shortlist and select the right agency partner. For more information or to search for your next digital agency partner, visit https://www.agencyspotter.com. For its latest Top 30 Design Agencies Report, the B2B ratings and review authority Agency Spotter ranked over 3,200 design agencies based on verified client reviews, credentials, focus areas, related expertise and project work. For its latest Top 30 Marketing Agencies Report, the B2B ratings and review authority, Agency Spotter ranked over 3,200 marketing agencies based on verified client reviews, credentials, focus areas, related expertise, and project work. For its latest Top Advertising Agencies Report, the B2B ratings and review authority, Agency Spotter ranked over 2,300 advertising agencies based on verified client reviews, credentials, focus areas, related expertise, and project work.